The monument, the brook behind, to the north. During the nineteenth century, Egyptian imagery was widely adopted in the US for stone monuments, public and private. Visit any old settler graveyard, and at a certain point, it sprouts a forest of obelisks. Here is a fairly early example (the Washington Monument wasn’t completed until 1884), from 1838. 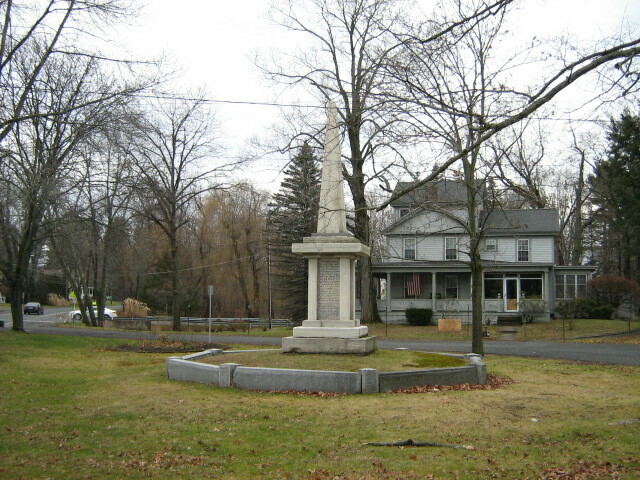 This monument commemorates the Bloody Brook massacre, in Deerfield Massachusetts, close by the little brook. The base of the obelisk itself is inscribed with a flowing script, “Established 1838”. 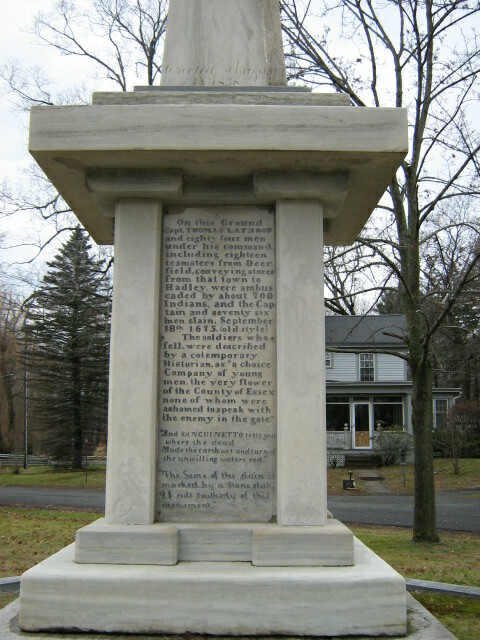 The monument text references an older monument, a “slab” at the site of a mass grave of the 90, or so (nobody knows), Massachusetts soldiers and teamsters slain and buried by the side of the road in 1675, “21 rods south”. As are many of these local, Egyptian monuments, this one is in Vermont marble, not an especially durable stone when exposed to sustained acid rain. 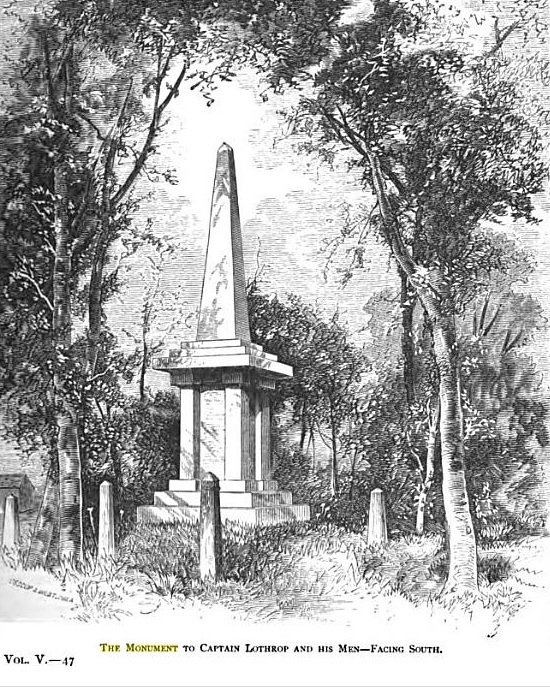 The inscription, “1838”, can just be made out at the base of the obelisk. Dwg from 1875, the year of the bicentennial of the event. Note the little baby obelisks sprouting from the ground, all around. 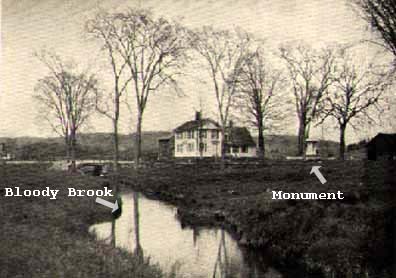 Looking upstream, the monument at the right, around 1900. The area is now much more built up, with both houses and trees. This entry was posted in Stonework and tagged Massachusetts. Bookmark the permalink.